Prince Eric: Isn't this great? The salty sea air, the wind blowing in your face. Aaah, the perfect day to be at sea! Grimsby: [leaning over rail] Oh, yes urp delightful. 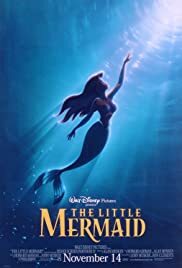 Q: What is 'The Little Mermaid' about? Q: When Ursula turns Ariel into a human, isn't she naked? Ariel is a fiery, independent teenage mermaid who falls in love with a prince. She literally makes a deal with the devil to get her man. I love how sweet Ariel is with Eric, especially when she can't talk! Sebastian, Scuttle, and Flounder are all very funny, the animation, voice-overs and music are incredible! 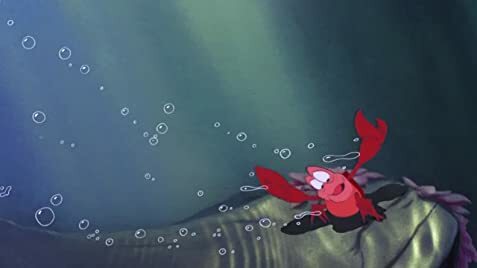 Who can resist the urge to sing and dance to "Under The Sea"? A fun, enjoyable movie that the whole family will love and treasure.